Nothing starts your day off better than having a bathroom that you love. Waking up may be difficult some days, but it definitely gets better when you start your morning in a bathroom that suits your style. If you bought your home from the builder, or are the 2nd or 3rd or 4th owner of your home, it may be time for you to update your bathroom or turn your bathroom into the space you’ve always dreamed about. A tile shower that is too small or is so old that you can never seem to get clean is no way to start your day or get ready for date night! The lighting that was put in many years ago may not serving your eyes any longer and shaving or applying make-up is getting to be a challenge. It may be the case that you are thinking about moving to a new home and you know that your home will be more appealing to potential buyers if you could update your bathroom. Whatever the reason, remodeling your bathroom is a commitment of your time, energy and resources. You know that whoever you choose will more than likely be in your home for 3-4 weeks (maybe longer) and choosing someone you like, and equally important, trust, is important. 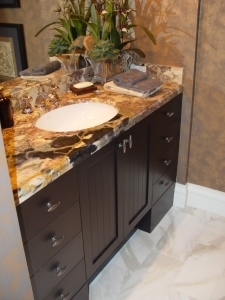 Look at our Gallery of Bathroom remodeling projects! The licensed and bonded professionals at ContractorMen have been in the remodeling business since 1979. We’ve seen our share of styles come and go. But you know what never goes out of style? Quality workmanship and the ability to build and remodel just about anything a homeowner wants, never goes out of style. Someone who knows what they’re doing because they know how to build a house start to finish. Someone who knows what part of the project comes before the other. Someone who does what they say they are going to do and communicates with you every step of the way. You don’t remodel your bathroom very often. Our goal is to make sure that you’re not only happy with the result, but that you refer your friends and family and go to Google or Houzz to let others know about your experience as well. We can do it all. We are your local, independently owned and operated general contractor for your bathroom remodeling project or any project you have to accomplish in your home. 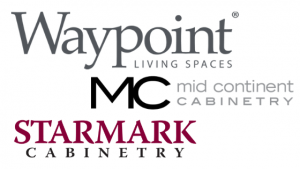 We are featured on Houzz and many of our customers are generously reviewed us there. We’ve been remodeling homes on the inside and the outside for a long time. Our customers know we do excellent work. We welcome the opportunity to work with you to remodel you bathroom. Call or contact us today!